The sun has started to swell and die. To save humanity, the world’s governments have banded together and constructed thousands of engines across the Earth’s surface. Once installed, they propel the planet out of its solar system and onto a 2,500 journey to resettle in Alpha Centauri. 17 years into the mission, just as astronaut Liu Peiqiang (Wu Jing) prepares to leave the Earth’s navigational space station and see his adult son Liu Qi (Qu Chuxiao) for the first time since Earth started travelling, an unexpected crisis sees the planet become trapped in Jupiter’s gravity well and dragged towards a genocidal collision. 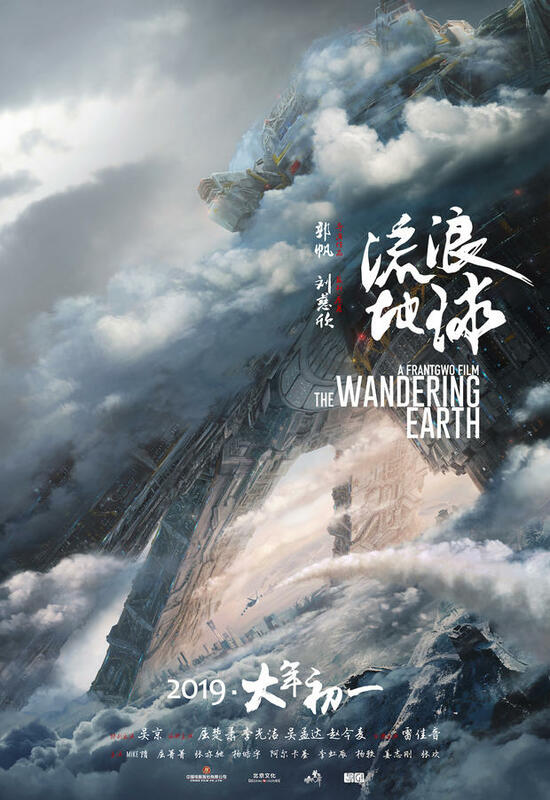 Regardless of quality, Frant Gwo’s science fiction epic The Wandering Earth is going to go down in history as a landmark for Chinese cinema. Whether good or bad is open to question: this is the first time the Chinese film industry has really gone out of its way to produce a Hollywood-scale, American-styled ultra-commercial movie blockbuster. It comes backed with a science fiction setting, a huge production budget, truckloads of computer-generated visual effects, explosions aplenty, and a cast of desperate protagonists shouting loudly at one another as the world comes perilously close to total destruction. It ultimately all feels rather like Michael Bay’s 1998 film Armageddon; albeit with more Chinese than American values. The cast pitch their performances to the heightened nature of the story, offering variations of dogged heroism in the face of humanity’s extinction. Wu Jing seems a stand-out as Liu Peiqiang, but in honesty every member of the cast acquits themselves admirably. They provide an emotional honesty to what could easily be a shallow work of eye candy. The story set-up is wonderful nonsense, and it works as a skeleton on which Frant has built a personal, heartfelt and unexpectedly hopeful narrative. The attention to detail is marvellous, while clever production techniques have stretched a US$50 million budget to tell a story that would normally take three times that sum to realise. Basically this is a science fiction mini-masterpiece; if you can’t find joy in The Wandering Earth, I am unsure we can ever see movies together.